Police officers who endorse an empathetic approach to criminal justice do not perform as well when they sense they are underappreciated, according to new research from The University of Texas at Austin. AUSTIN, Texas — Police officers who endorse an empathetic approach to criminal justice do not perform as well when they sense they are underappreciated, according to new research released today from The University of Texas at Austin. In the study, published in Administrative Science Quarterly, officers’ ideology — liberal or conservative — determined how well they weathered perceived animosity and lack of appreciation from the public, said study author Shefali V. Patil, assistant professor of management in the university’s McCombs School of Business. Patil surveyed 164 officers about how they view the criminal justice system and how well the public understands the challenges of their job. She had independent experts analyze 794 bodycam videos of the officers carrying out their everyday duties — jail transports, traffic and DUI stops, transient arrests, car crashes, building searches and house alarm calls. She found that those who favored a more compassionate approach to justice struggled to be effective when they felt underappreciated. These officers were more likely to score lower on overall performance, competence and use of tactical best practices for officer safety. Alternatively, officers who lean conservative — favoring punitive rather than rehabilitative approaches to justice — did not suffer performance issues in the face of the same negative public perceptions. The expert raters found that these officers generally performed as trained. “Conservative cops believe there should be a divide between themselves and the community,” Patil said, whereas the more empathetic officers may strive for mutual understanding and become frustrated in the effort. She warns that this frustration and the inability to cope with misunderstanding could cause an exodus of empathetic officers from law enforcement over time. 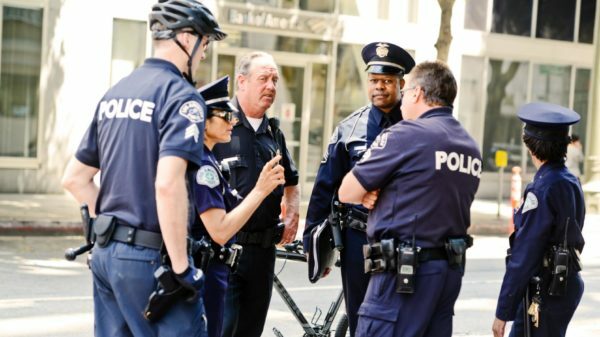 In light of this research, Patil urges policymakers to accept public misunderstandings as a given in today’s climate and to rigorously explore the most effective ways to help officers — both liberal and conservative — continue to perform their duties despite these perceptions. Also helpful — perhaps especially for the more empathetic officers — are public policy initiatives aimed at making police agencies feel more appreciated by their communities, creating an environment where scrutiny is balanced with a sense of understanding and empathy for the realities that police face, she said.